Centument Project 2 Review - Confirmed Scam; Check Reasons! The Centument team is back with their brand new sequel in which they are much worse in lying about their dirty scam software. 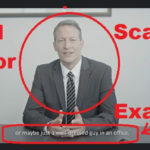 Gerald Reed our fake actor remains the same, although there has been a twist in the promotional video it actually makes the software look more bogus. Let’s just pray that new comer traders don’t fall for this system once again, which is nothing but the old software but with a different website to be more precise. Centument Project 2 is all the more ready to trick people and seems to be more prepared to steal your money once again. 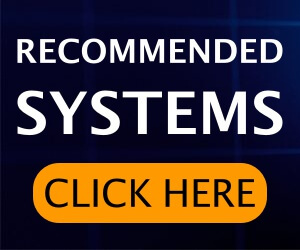 But my recommendation is that just ignore it like before and just go through this review and find out why they again fail to be called nothing but a fake binary options trading software. So, let’s move on to our Centument Project 2 review now. Fake New Website: Same Old Scammy Intention! 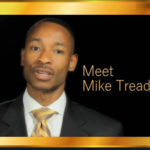 It seems Gerald Reed and his team has actually made some dirty money by fooling a lot of people. The better looking website and another irritating new video of Centument Project 2 seems to be the result of their previous online theft. 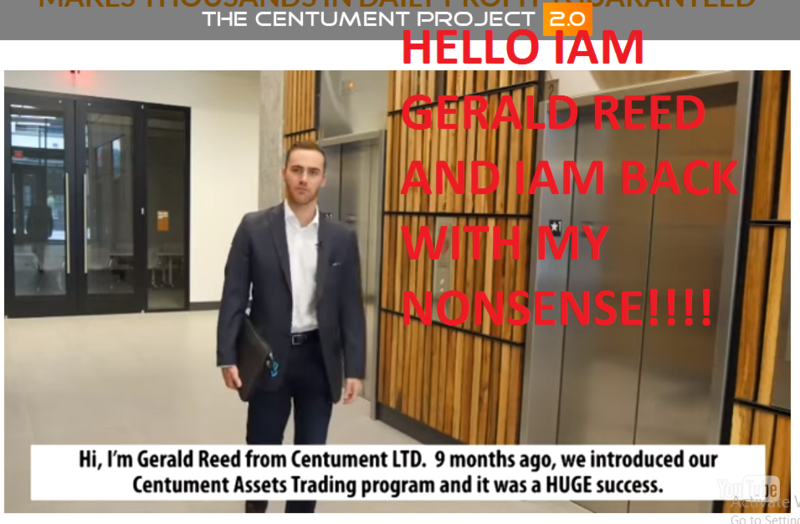 But let me be honest with you; Centument Project 2 system is nothing new and it seems like Gerald Reed is just a stubborn old scammer who is all the more foolish because of some very flashy loopholes that they did not care to remove from this website too. And let me just introduce you to all the red alerts of this software one by one. The Same Fake Owner, Fake Promises! 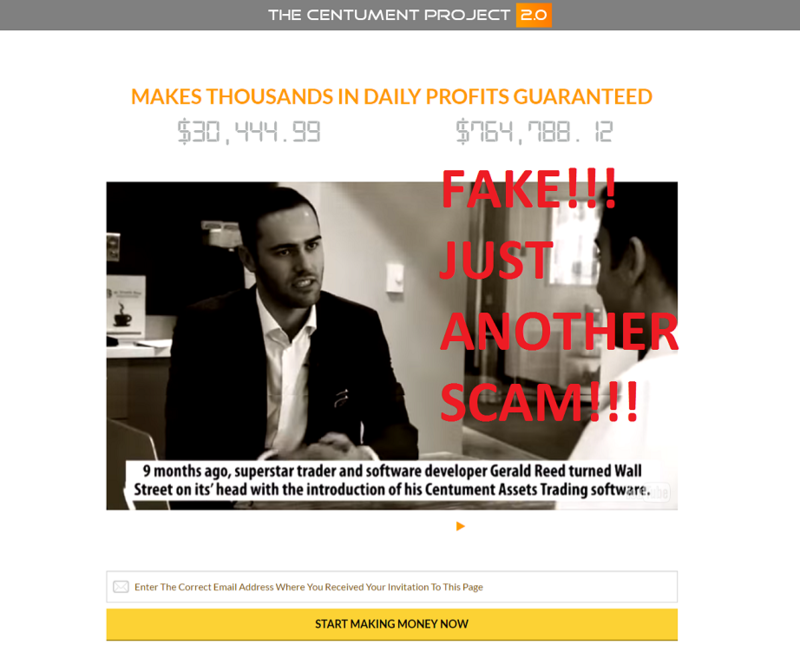 The Centument Project 2 features our very old Gerald Reed who poses as the ex-Wall Street Employee who left his job to pursue his own career of trading and who later made millions from using the Centument software which now has been updated to the Centument Project 2. 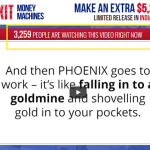 Just like in the previous video from the old website he now wants to share his secret software with common people so that everyone can make money. He mentions that a group of a devious team actually reverse engineered their software so as to use it for their own benefit. 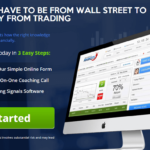 This made 10% of their members to lose trades ultimately failing to make money. This was the story he cooked up as an answer to why people lost money with his software. He also mentions that even if the issue happened, 90% of their members had actually won trades and made millions money with this software. You can easily guess the amount of lie and nonsense that is embedded in his story. There is no single reason to trust this evil man who only plans to steal your money just like he did before. How does Centument Project 2 Work? Because this is supposedly an updated version of the previous software you would expect some new advancement in this one. But this expectation will go down the moment you watch the video. And the moment Reed started explaining the reason behind why 10% of the members could not make money it was all clear that this is once again a shameless attempt to fool people. The fictional account about the software’s algorithm is very clear. According to Reed their software had failed because some off-shore brokers hacked through their software and stole the profits of 10% of Centument’s 10% members. As an answer to this disaster, the Centument team gathered world-class developers, mathematicians, and even hackers to make their software impenetrable. The result was Centument Project 2. So, it is clear that other than the advancements in making this software an impenetrable one there has been no actual work done to improve it. In simple words, there is nothing unique or new about the Centument Project 2. It is just the same product which Gerald Reed mentions before which according to him will judge the huge number of data and find out the trade which will win you profits. And not to forget that this bogus software has a very limited number of free copies available. Testimonials: Yes they are FAKE! After going through the rubbish promotional video of the Centument Project 2 I visited the testimonial section on the website only to become more depressed after seeing the picture of the same woman who was featured in the previous website but with a completely different name. The whole fake thing was fine but such a foolish attempt of giving the same old picture with a different name sounds really immature. In fact the Centument team is made up of good for nothing scammers who cannot actually fake it. Just look at the picture below which shows the picture of the same woman but with a totally different name. What could be the possible explanation of the change in her name? This is nothing but a low-level scam that needs no explanation. Centument Project 2 Review Verdict: Avoid this Scam at any Cost!!! I think I have listed enough proofs in this Centument Project 2 review to prove this system a culprit; there is nothing good in this software. 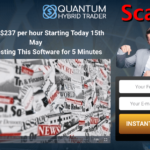 You are dealing with high ranked binary options criminals who are fooling people again and again and they are not here to stop. So, it was all about Centument Project 2 scam review. There is nothing believable and accurate about this new software which is as bad as the previous one, in fact it is just the previous software with a new name. 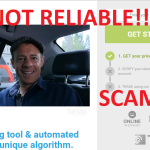 All the claims by Gerald Reed about the software are false and moreover, he is a very bad actor whose acting skills has been already gaining many hate-comments in the promotional video of the previous software. More importantly, no software can assure you 100% guaranteed winning trades and this is the first basic thing a trader should know about this highly competitive business.